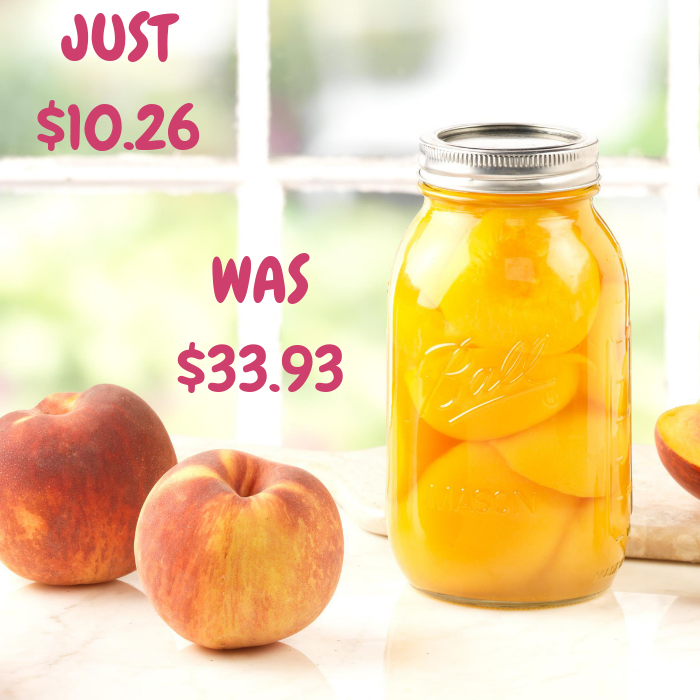 32-Ounce Mason Jars 12-Count Just $10.26! Down From $34! At Walmart, you can score this 32-Ounce Mason Jars 12-Count for just $10.26 down from $33.93 PLUS FREE store pick up or FREE shipping for orders $35 or more! Ball Regular Mouth Canning Jar 12/Pkg Quart No matter what your needs, you can’t go wrong with Ball jars! Of course they are great in the kitchen for canning and storing foods, but they’re also great in all kinds of other situations. Organize buttons, beads, embellishments, and ribbons in the Craft room. Store screws, nails, washers, and other small items in the garage. This package contains twelve Ball jars. Each jar holds one quart (32 ounces), has a regular sized mouth, and comes with a 2-piece metal lid. They are made of crystal clear glass and have the Ball logo embossed on the outside.